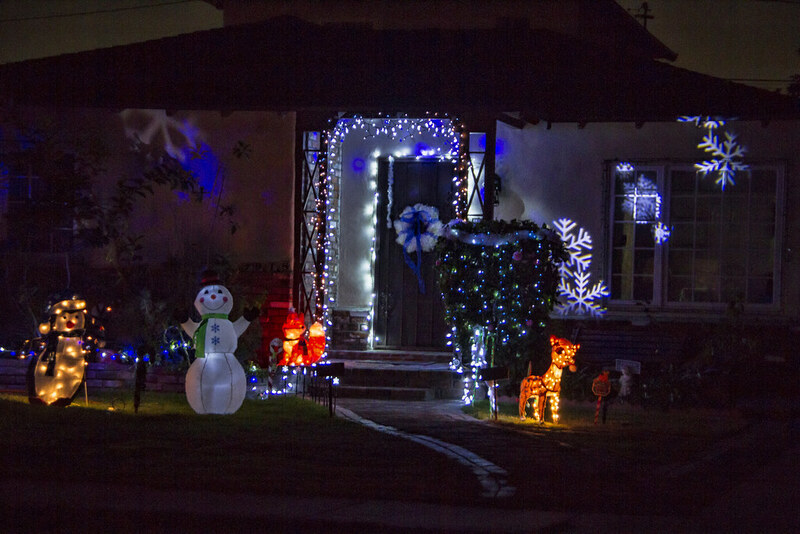 It seems like there are a lot more homes decorated in Downey this year. I like the soft look of this home. A sleigh or a carriage?